Hi there! Recently I decided to try my hand at some more craft projects, specifically paper crafts. So I decided to sign up for ScrapbookingStore.com, which is a club for monthly scrapbook kits. 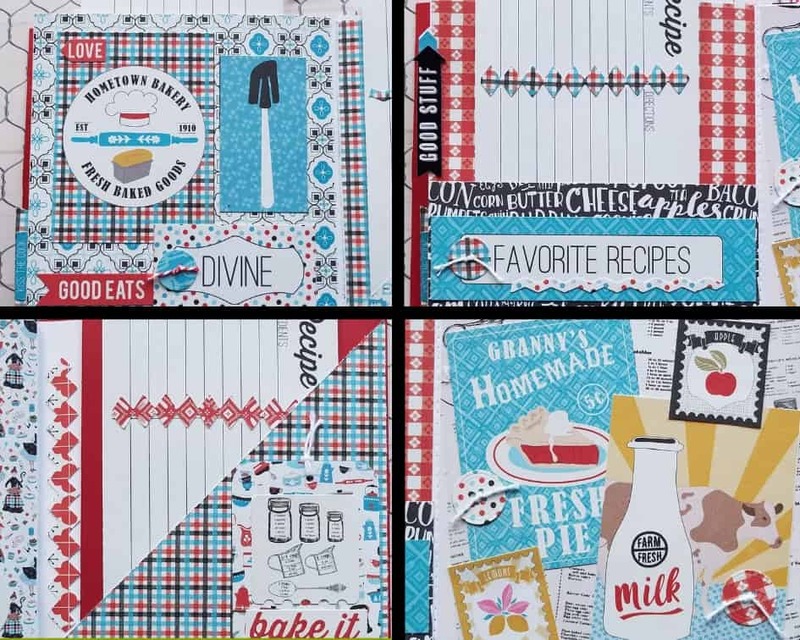 Each month they send me a kit full of scrapbook paper, stickers and other cute embellishments. I love the element of surprise when I open them up each month, and all the papers and themes have been super cute so far! This month in particular is perfect for me as it’s a recipe themed kit! So once I saw these intricately detailed papers I immediately had the idea for making a DIY Recipe Book! What is a DIY Recipe Book? 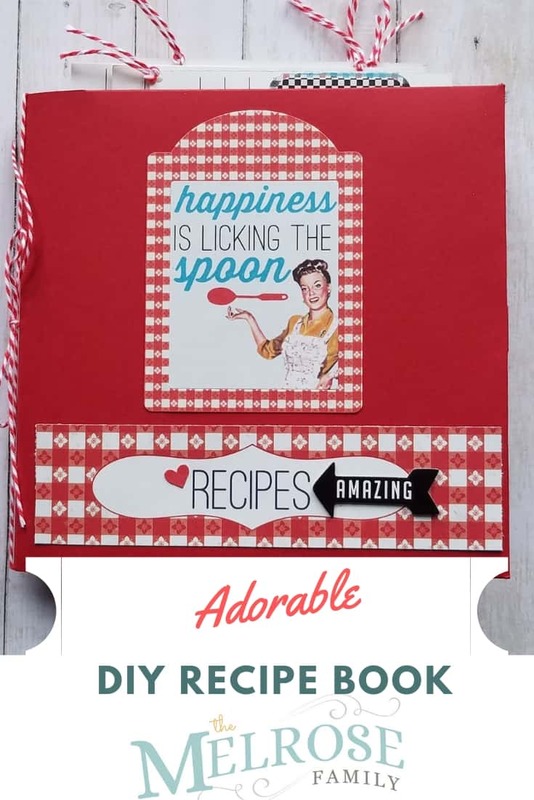 A DIY recipe book is just a fancy, decorated homemade cookbook! In this case, I actually bought a 6×6 mini album and am making personalized recipe cards that will go into the mini album. You can easily find mini albums at a reasonable price online at any craft store or scrapbooking supplies website. Remember, this recipe book is not going to hold all your recipes as it’s meant to be more decorative in nature as opposed to a fully functioning utility cookbook. It would actually make such a fun gift for a bridal shower, or a wonderful gift.full of special memories for a family member. At the end of the day, it’s just a really cool thing to make with paper and your friends will be super impressed by your amazing crafting skills! As mentioned, this recipe book was created using a 6×6 mini album that I bought. There are so many places to buy these but here’s some options to check out. First, I cut all my paper to 6×6 and cut apart all the journaling elements. I also used a die cut machine to cut border strips and trim, and some buttons from the papers included in the scrapbook kit. Note: when using a paper album such as this it is better to keep dimensional elements to a minimum so the album will close properly. I used all the papers, stickers and journaling elements to decorate the cover, back cover and each page. If you have all these elements prepared, you can use this design, or design each page to your own taste! For the pocket pages, cover the page with a 6×6 piece of paper. Then choose a coordinating piece and cut it either in half or on the diagonal. Then adhere on 3 sides only, leaving an opening for the recipe card. I wanted the personalized recipe cards to pull out of the pockets so they could be written on. One idea is to have a different family member fill out each card with her recipe of choice. This is a wonderful way to create a family treasure that can be passed down to the next generation and preserve the handwriting of loved ones! I punched holes in the recipe cards and some of the elements, and added either white or red and white baker’s twine. I also used the baker’s twine to thread the paper and chipboard buttons that I used. The chipboard buttons are included in the scrapbooking kit upgrades (these are extra pretty stickers and things that you get for an additional small price). Also, the black chipboard phrase stickers from the kit upgrades were just beautiful, so I used some on the album pages. Of course the album isn’t complete until you fill out the recipe cards with some of your most special recipes. For an added special touch, include some recipe quotes! I absolutely love how this project turned out. and am really enjoying experimenting with scrapbook paper crafts. 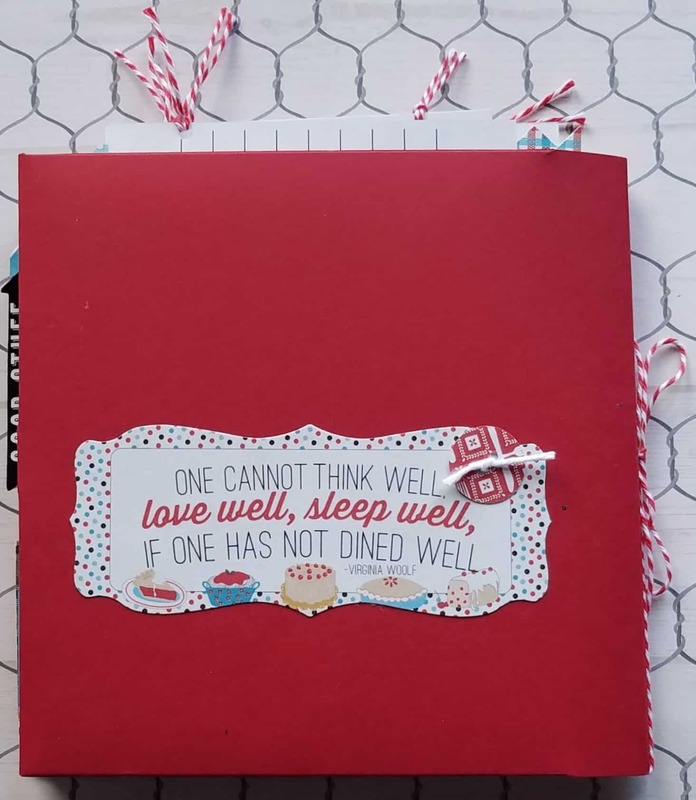 Do note that some of the supplies I used were things I had on hand in my crafting stash: notably the dies, the die cut machine, the adhesive, twine, and again the 6×6 mini album. However, these items are not expensive and there is no need to go out and buy a super fancy die cut machine for projects like this. 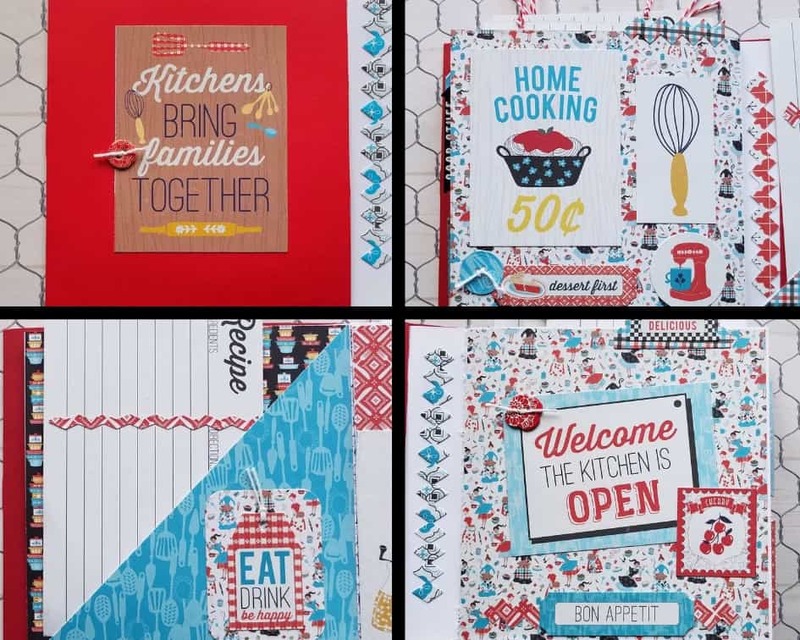 Overall, making this pocket recipe album was super fun and delicious to put together! I cannot wait until I have a reason to gift it to someone special in my life. Until then, it’ll make for a beautiful decoration in my kitchen! Let me know what you think below or feel free to post your own projects!